Advent Calendar Door 2: List navigation and data filtering: fighting the SharePoint’s 5000 list items limit. Everyone who was working with long SharePoint lists, knows the about List View Threshold limit of 5000 items. There are best practices with field indexing how to deal the best with that limit, but still, this all remains a big challenge: data navigation (filtering, drill down) is very difficult to achieve, and it can easily happen that the user doesn't find and doesn't see her data. This is where skybow List View Search, an integral component of skybow Solution Studio, but also available as a separate SharePoint addin - comes to the rescue. It is by default added to the default list view of the master list in skybow Solution Studio, and it can be added manually from the toolbox on the right side of the screen to each view, or through the "Add an app" menu if SharePoint AddIn is used. 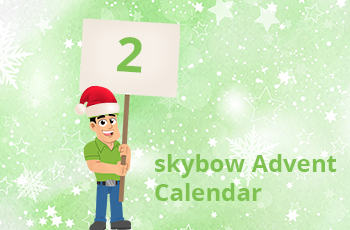 In todays skybow Advent Calendar, I will show you how to configure this within minutes. 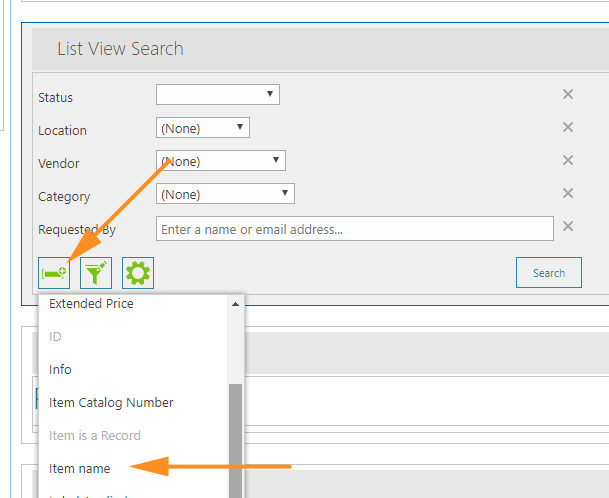 When you add the list view search, by default only the Title field is included. By clicking on the "Add icon", you can easily add as many fields as you need. 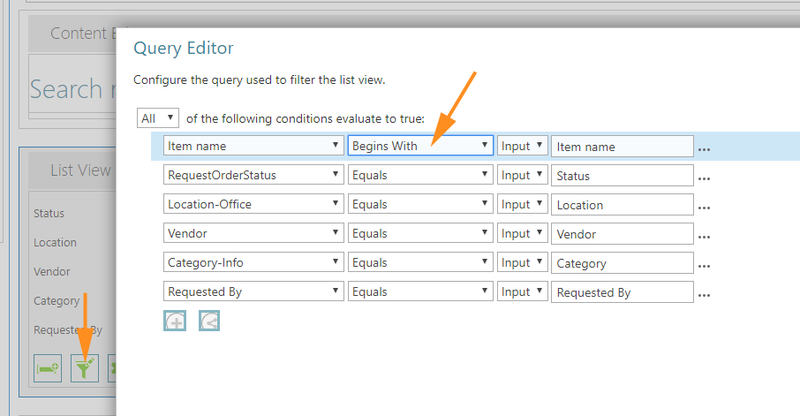 Clicking on the “Filter” icon, you can also fine-tune all the filters – here, I am changing filtering operation of the Title field from “Begins with” (default operation) to “Contains”, to be able to search any part of the title field. Clicking on the settings icon, you can decide if your users need to press the “Search” button for filtering to take place (recommended for *very* long lists), or if autofilter should be applied, and filtering happens as user types the values. Please note, in order for this to work with long lists, you will still need to set up filed indexing in a proper way, as described in Microsoft’s best practices. Tutorial video can be found here: https://youtu.be/X-07IFvyA04. Until tomorrow, until next skybow Advent Calendar cookie.